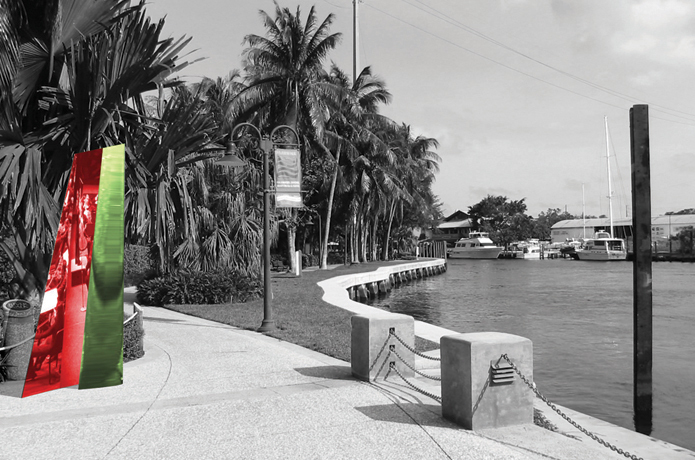 Riverwalk Wayfinding is a design proposal for a system of signs, logo and concepts drawn from the City of Fort Lauderdale downtown neighborhoods, but with particular reference to the Riverwalk District. 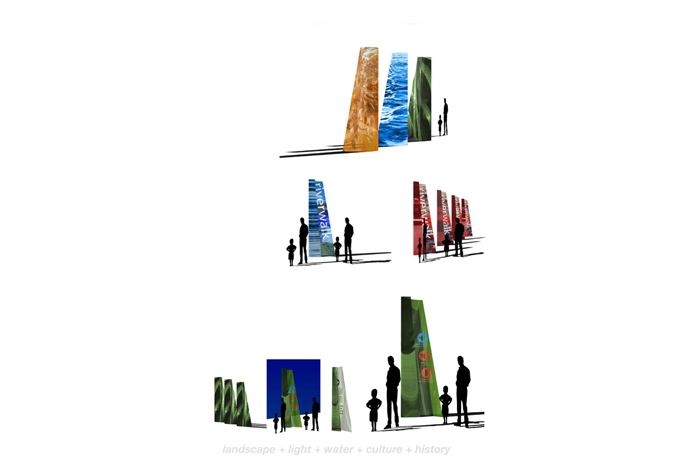 This proposal aims to create a strong visual identity for the public space, Riverwalk, in the City of Fort Lauderdale for a series of Wayfinding signs. Conceived as a multi-functional system in which visual aesthetics, urban diversity and individuality make evident the beauty and culture of this particular place in order to promote unity and to suture distinct zones and districts within downtown Fort Lauderdale. 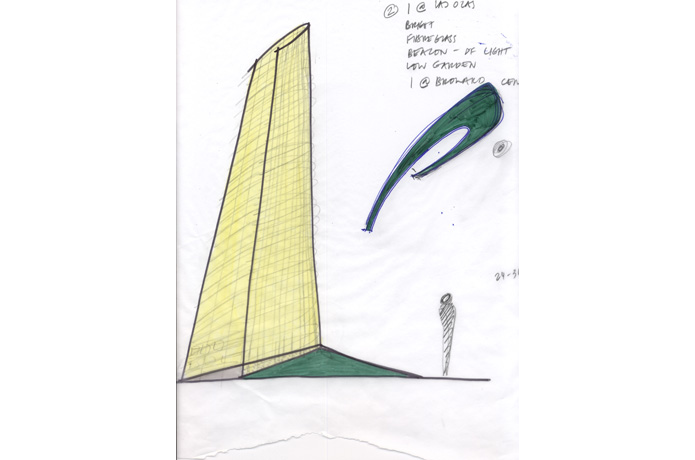 The outcome is both unique and familiar, a beacon is proposed, whose shape can accommodate many associations, some of these include the historical frame of reference of the obelisk, the organic qualities of a leaf, the fluid forms of water and the iconic form of the sail. These multiple associations engender ownership and reinforce community and connectivity. 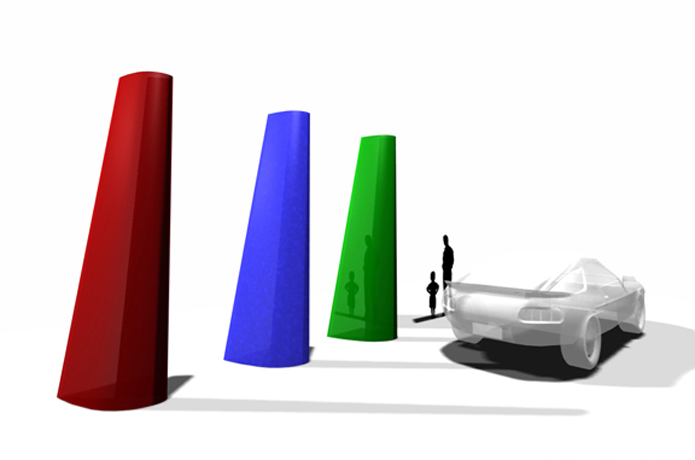 They are multi-scale; operates as markers for vehicular commuters at the periphery of the district and as a sign for pedestrians seeking information approaching the district. The Wayfinding Iconic symbol becomes a gateway symbol defining zones within the downtown area within the Riverwalk area. 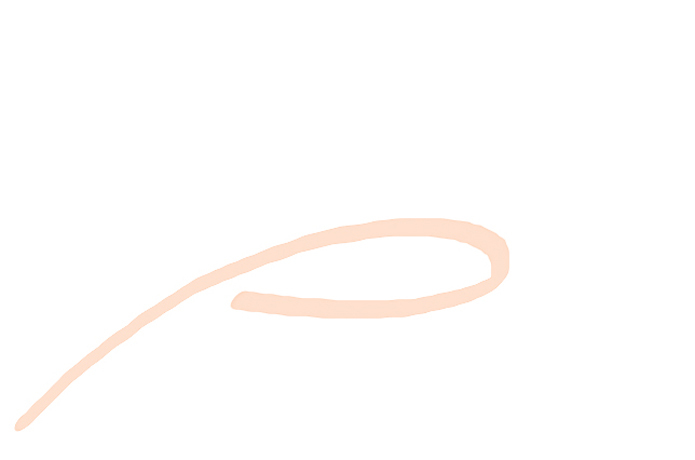 It is multi-representational as it can accommodate multiple materials, images, identities and functions. 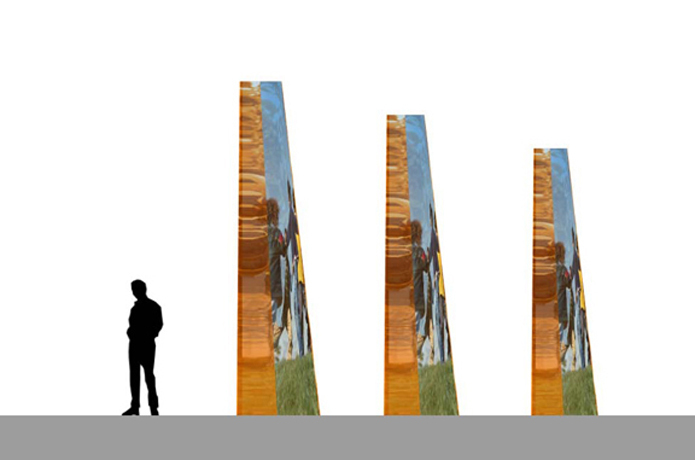 These may include being a lighting source, an emergency/information center, a garden landscape, an entrance, a place for sound and performance, a place for sitting or meeting, all without changing the essential form of the beacon.